Oregon has no shortage of natural beauty. However, even locals who think they have explored every inch of their beloved state will still find something new hidden amongst its river valleys, mountains and endless forests. If there is one way to explore Oregon, it is to pack a lunch and head in deep. Oregonites all have their favourite picnic spots, but everyone knows about them. For true adventure, seek out some of Oregon's secrets. 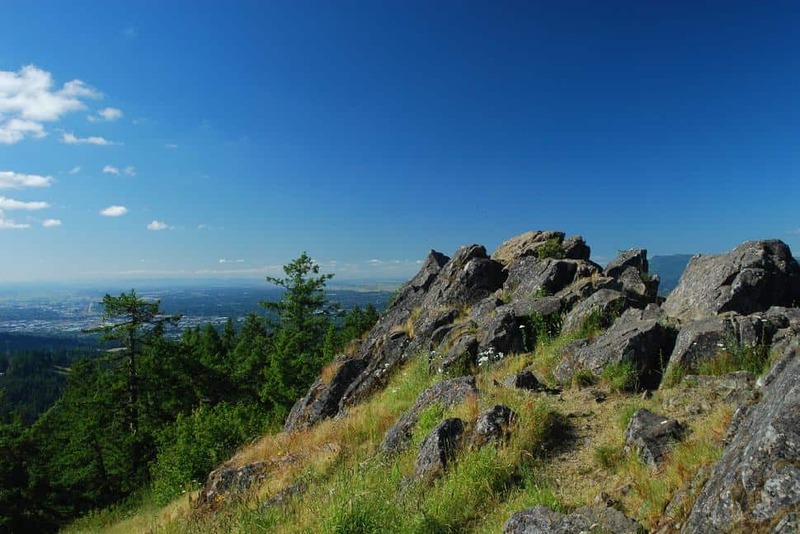 While Spencer Butte may be no secret to those who live in nearby Eugene, many are deterred from this somewhat secret picnic spot by the hike to get there. This 600-metre mountain this sits right in the backyard of Eugene, Oregon offering some of the best sweeping views over the city as well as the Southern Willamette valley. For those that enjoy the journey as much as they enjoy the destination, there are a number of different trails of different lengths that lead to the top. However, the shortest route is still 7 kilometres round trip. After visitors spend their time meandering through forested trails, suddenly all the trees break unto the bald summit. The expansive, flat butte is utterly treeless though not without flat rocks and soft grass plains that are perfect to roll out that picnic blanket. Oregon is mostly shown off in pictures as lush forest or through the rough waters of the Columbia River; however, it is not without its diversity. One of the best examples of this ecological diversity is the Smith Rock State Park. Located in Oregon's high desert, the Smith Rocks rise from the sage and dust of the surrounding dry land like the spires of a cathedral. 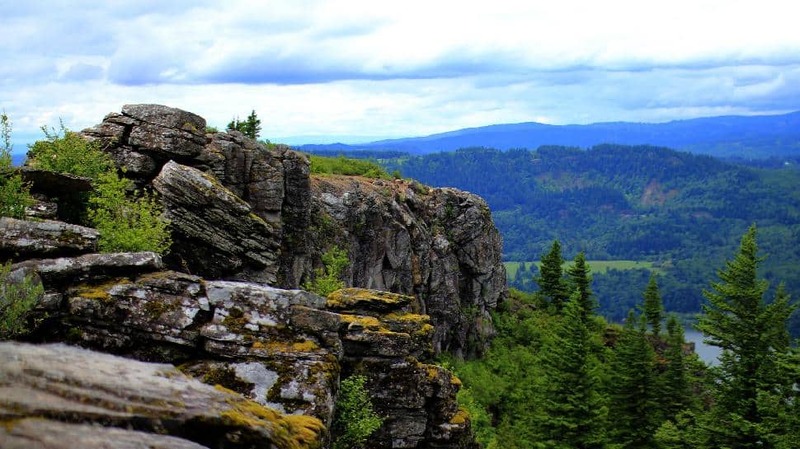 With endless towers of tuff and basalt, it is plain to see why this state park is one of Oregon's favourite spots for rock climbing at any level. However, the top of the spires make for a small and uncomfortable picnic area at best. Those who aren't fans of the climb will find the Smith Rocks just as beautiful from the many dusty vistas that overlook them. While the mountains around Anthony Lake are a well travelled hotspot during the winter when ski season opens up, few venture here during the warmer months. 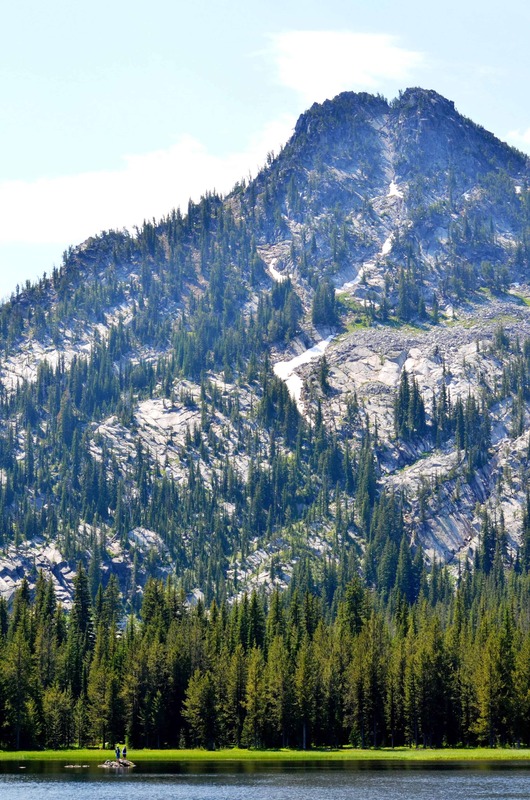 The Elkhorn Range of the Eastern Oregon's Blue Mountains provide for ruggedly beautiful terrain laden with craggy granite peaks and challenging treks. However, the alpine lakes hold their own surprises within their crystal clear water and wildflower-studded shores. Visitors can enjoy the picnic area near Anthony Lake that sits over 2,000 metres above sea level and enjoy sweeping views of Gunsight Mountain or undertake a number of demanding hikes that travel through the area. For those that demand a taste of Oregon's alpine beauty, there is no more beautiful or less traveled place than Anthony Lake. For commanding views over the powerful Columbia River that runs along the Oregon-Washington border, there is no better place than Angel's Rest. While the view from this striking bluff may seem like it requires a difficult hike to reach, visitors can get there in little over 3 kilometres. When visitors reach Angel's Rest, they will be privileged to 270 degree views over the Columbia River Gorge. While visitors won't be able to spot the Cascade volcanoes, the bluff does feature a great vantage point for Beacon Rock, Silver Star Mountain and a number of other nearby landmarks. While the rocky spine of the bluff may not be the perfect place for a sprawled out picnic, visitors will be so taken away by the view they will forget to care. Stepping on to a stretch of oceanfront sand that is completely devoid of other people is one of life's sweetest pleasures. However, despite the dreary weather and utterly beige sand colour, Oregon's coast is always booming. Like any beachfront, there is always some secret beach. Located just north of the resort town of Neskowin, an unassuming sign signals Winema Road that leads to Winema Beach. This is the kind of small beach that only people from the area would really even know about. There are no brochures that advertise it, no resorts on the sand and usually not a soul in sight. It features some prominent blob shaped rocks and a sprawling view of the rough Pacific Ocean. While not the home of dinosaurs like the fossil beds in Alberta, a day spent at the John Day Fossil Beds National Monument will be a day not soon forgotten. 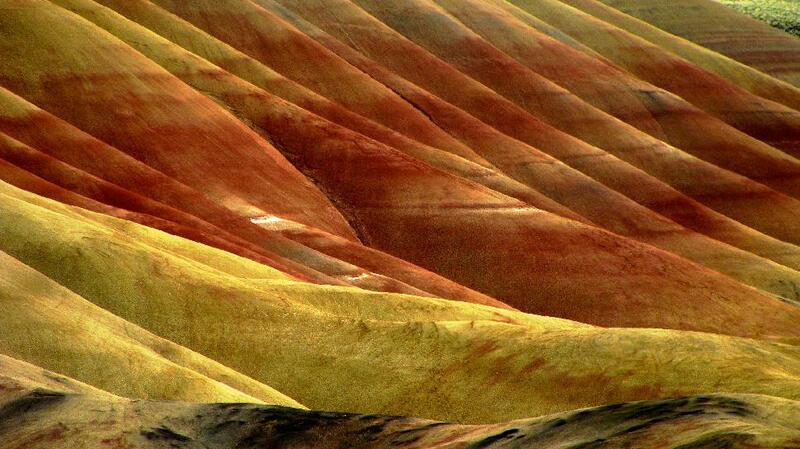 The John Day Fossil Beds are not as well known for fossils as they are for their painted rocks. The layers of gold, brown and striking red that paint these wavy, smooth mountains are absolutely hypnotizing. The painted rocks are so mesmerizing; it is hard to believe they are real. However, what better place for a picnic than a spot with a view of these surreal natural wonders? Where do you love to picnic in Oregon?